ITEC, taking place from 16-18 May, is an annual forum for representatives from the military, industry and academia to connect and share knowledge with the international training, education and simulation sectors. Presenting a unique overview of the industry’s latest innovations, the event provides visitors with a platform to discuss developments in this evolving market and exchange ideas about future requirements for military training and simulation. ITEC 2017 will take place at Ahoy, Rotterdam in The Netherlands. ITEC is a multi-faceted event that reflects this community's desire for continuous learning in dealing with the world's increasing diversity of threats and challenges in the areas of simulation and military training. This year's conference agenda will explore the theme: “Innovation through Collaboration in Military Training and Education: Focusing Efforts, Harvesting Success”. The main ITEC three-day conference will be divided into the following streams: M&S Technologies and Architectures, Training and Education- Requirements to Solutions, and Dual Use Training Applications. ITEC 2017 will also feature a conference on Advanced Engineering, which will explore simulation and training from a simulation and training perspective and will include speakers from companies on the forefront of this rapidly evolving sector, providing viewpoints and ideas to both challenge and inspire. The F-35 Conference, which takes place at ITEC 2017 on 18 May, is Europe’s premier F-35 event, partnered with Lockheed Martin. 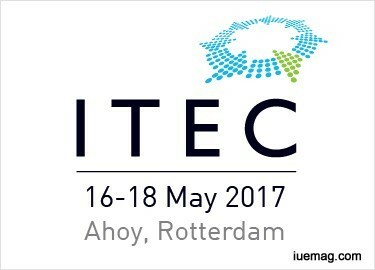 The iUeMagazine team is delighted to work with ITEC 2017 as Online Media Partners & is expected to bring Unlimited Inspiration for all readers from the proceedings of this event. Staying tuned to the enriching updates from this event is recommended.